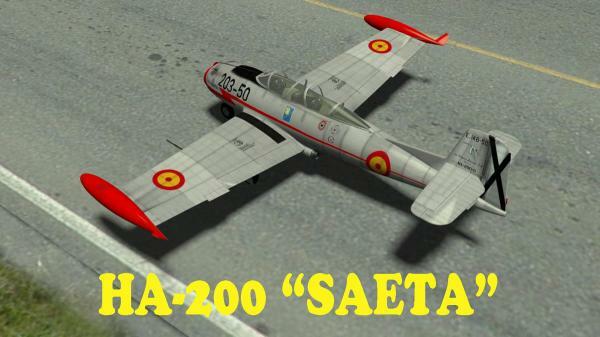 3D Model of Hispano Aviacion HA-200 "Saeta"(arrow), a two-seat advanced training aircraft and ground attack, built in Spain in the decade of the 50's of last century. In. Obj and packaging for Poser. With 3 textures: Spain (trainer), Spain (attack) and Egypt. ekatz (6 years ago) Inappropriate? lespauljr (6 years ago) Inappropriate? Thanks. After you posted your picture at Rendo, I was googling to find out what plane this was. MacMullin (6 years ago) Inappropriate? Your models are digital works of art. I figure if you had lived 500 years ago you would have produced art which would be in museums today. I hope some of your work does end up in an archives somewhere because it is that good. Very nice! Thank you for sharing your craftsmanship with us.